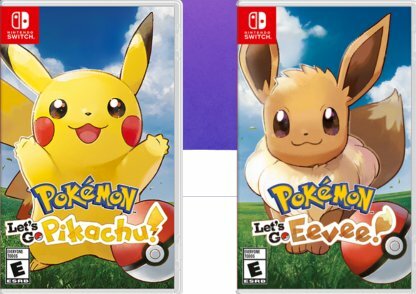 Pokemon Let's Go Pikachu and Let's Go Eevee will be available starting November 16, 2018. Check out the release details and pre-order details right here! 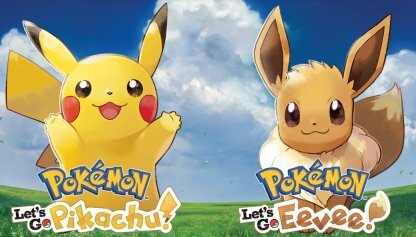 On November 16, 2018, adventure through the Kanto Region with either Pikachu or Eevee as your partner to become the greatest Pokemon Trainer in Pokemon Let's Go! Pre-Order is currently available via the Official Pokemon Let's Go Site with a list of available retailers depending on the version you select. A digital version (DL) is also available via the Nintendo eShop accessible via the Nintendo Switch. A Special Poke Ball Plus controller can be purchased on it's own for $ 49.99 or bundled with either Let's Go Pikachu or Let's Go Eevee for $ 99.99. 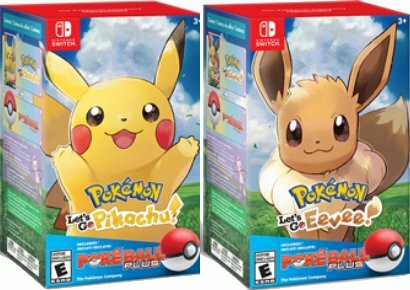 A limited edition Pokemon Let's Go Switch Bundle will be available featuring Pikachu and Eevee graphics! Digital copy of Pokémon: Let’s Go, Pikachu! or Pokémon: Let’s Go, Eevee! 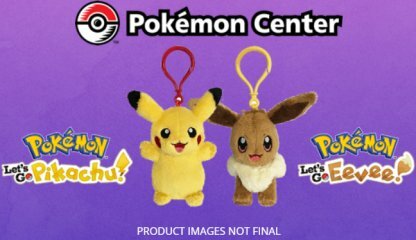 If you pre-order from the Pokemon Conter, you can get a Pikachu or Eevee key chain with your order while supplies last!